As one of the biggest events listed on the schedule of the edition 2014 of the Asia Championship of Poker (ACOP), the two-day NLHE Warm-Up battle of $ 25,000 buy-in recently concluded with Wai Tung Lo winning the top prize. As an award for his first-place finish, Hong Kong native Wai Tung Lo earned US $ 154,453 (HKD 1,179,350). Note that this poker event attracted 277 players, generating a prize pool of HKD 6,179,870. Included in this massive field are notable poker stars such as Liv Boeree, Bertrand Grospellier, Raymond Wu, Celina Lin, Eugene Katchalov and Randy Lew. However, most of them failed to reach the final table. Of the 58 players who made it through Day 2, only 31 landed into the ITM places. After the bubble burst, the game was getting tougher and tougher in the poker room of Macaus City of Dream; nine players reached the final table. Dong Guo, Kitty Kuo, Mikhail Mazunin, Edison Nguyen, Markus Garberg, Kiyokazu Nishikawa joined the sidelines in turn. Third in chip count at the beginning of the battle, Ami Barer fell to third place, paving the way for Wai Tung Lo and Louis Salter to meet in the heads-up. Britains Louis Salter entered the face-to-face clash with a fairly good chip advantage. Despite his years-long experience in the field, Salter fell to the second place to the entire delight of Wai Tung Lo. 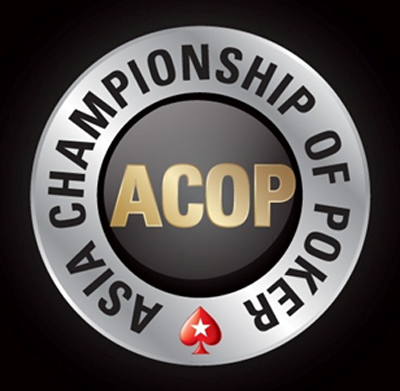 Now, the ACOP continues to amaze fans of poker with other attractive events, including the HKD 100,000 buy-in Main Event. This page has been viewed 608 times.